Ice Cream Deluxe. . Wallpaper and background images in the Shadow The Hedgehog club tagged: photo. -blinks- I'LL SAVE THEM! HOLD ON!!! 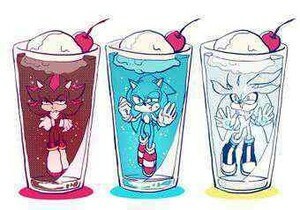 -jump into the ice-cream and get my head out- yah know what they DO taste good!